It’s a special edition of comics news for you, just in time for the San Diego Comic Con. 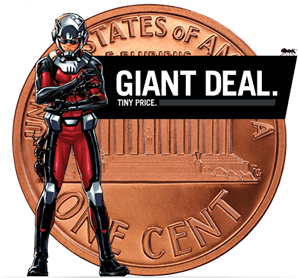 In addition to what Marvel has in store for there, below are two reviews of recent comics that are quite a paradigm shift in comics as we know them. Collectibles At San Diego Comic-Con! New York, NY—July 6th, 2015— Marvel Entertainment is taking this year’s San Diego Comic-Con by storm! And we’re giving fans yet another reason not to miss out on the biggest pop culture event of the year with a lineup of convention exclusives that will be available only at the show! Sure, you’ve already heard about the collectible Marvel pins featuring award-winning artist Skottie Young’s artwork. But that was just the beginning! With exclusive t-shirt designs, hoodies, variant comics and more featuring your favorite Marvel characters – the Marvel Shop at San Diego Comic-Con (Booth #2329) is your one stop shop for exclusive items from Marvel’s Ant-Man, Marvel’s Avengers: Age of Ultron, Marvel’s Agents of S.H.I.E.L.D., Marvel’s Daredevil, Marvel’s Agent Carter, All-New, All-Different Marvel and more! With surprises coming all weekend long, no fan can afford to miss out on all the excitement and their chance to bring a piece of the convention home with them! The Best Place To Meet Creators And Win Prizes! This week, Marvel returns to Comic Con International in San Diego! And the biggest convention of the year requires nothing but the best from the House of Ideas! 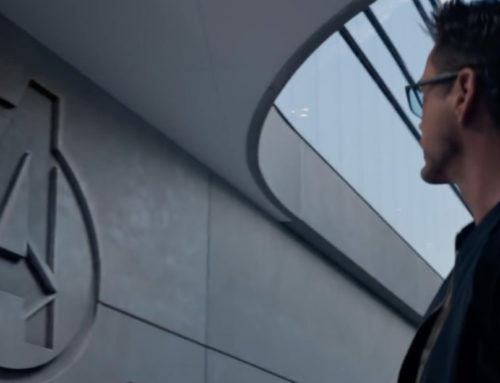 Sure you’ve already seen the can’t miss line-up of exclusive merchandise available only at the Marvel Shop. But Marvel (Booth #2329) is also bringing along the hottest creators in the industry and exciting events all weekend long! 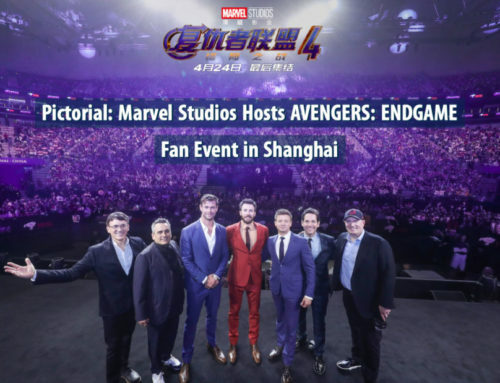 Over the course of the four day mega-event, Marvel is bringing the fan service with tons of events, signings, and awe-inspiring on-stage events that will make this year’s convention an event to remember! Be sure to visit the Marvel Booth (Booth #2329) throughout the show to get in on the excitement! Tons of great giveaways (while supplies last), costume contests, live games shows, and more await you! Plus –don’t miss out the countless unforgettable events and even the chance to attend a signings with the casts of Marvel’s Agents of S.H.I.E.L.D., Marvel’s Agent Carter and even Stan “The Man” Lee himself*! 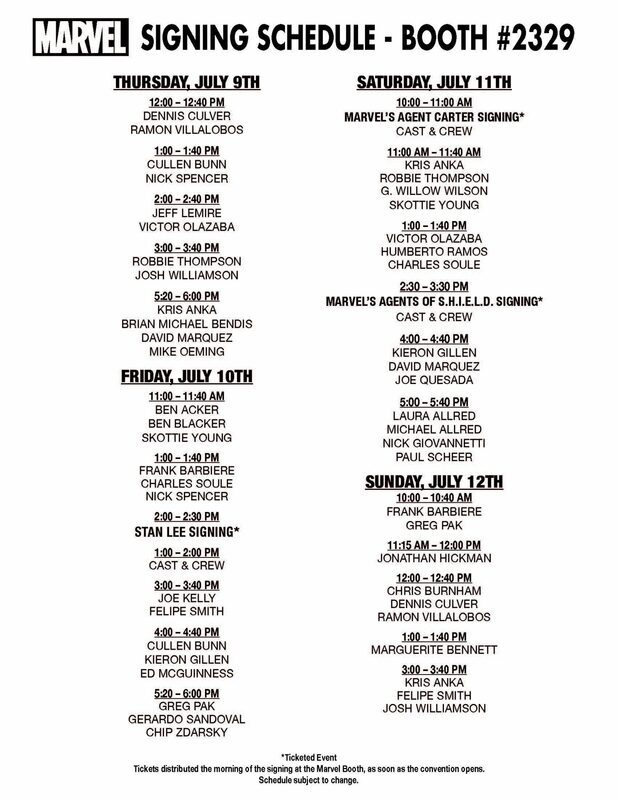 And that’s not all because, we have an all-star cast of your favorite Marvel creators who will be at the booth signing all weekend long! 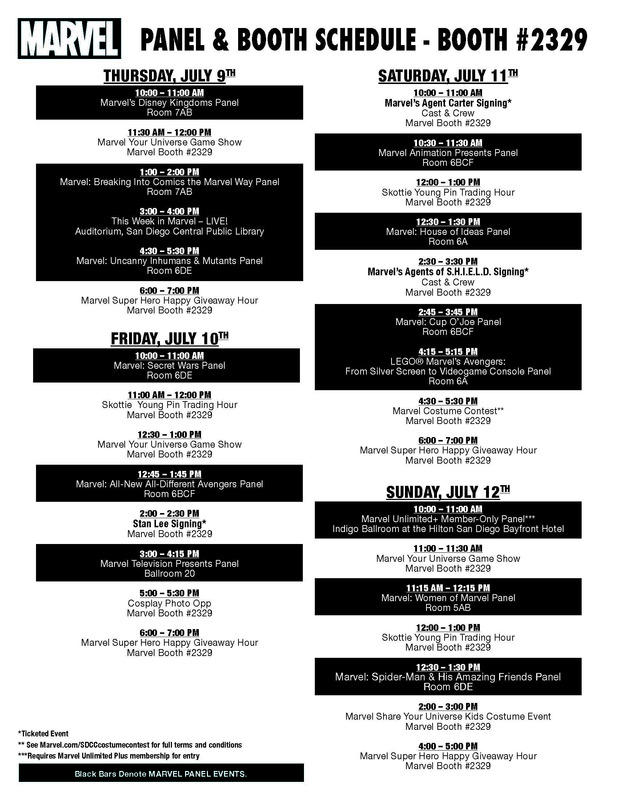 Swing by and visit blockbuster Marvel creators including Brian Michael Bendis, Jeff Lemire, Jonathan Hickman, Skottie Young, Charles Soule, Marguerite Bennett and many, many more! Can’t make it to the convention? Follow along on Marvel.com starting July 8th for exclusive videos, real-time announcements from the convention floor and up-to-the-minute panel, in-booth, and signing schedules of all your favorite Marvel creators! And tune in July 9-12 for live streaming video direct from the Marvel booth at Comic-Con as well as liveblogs of all the Marvel panels! 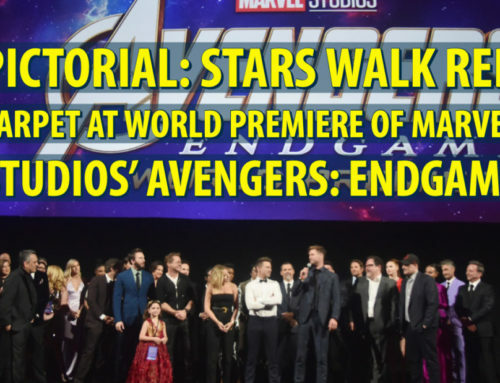 *Ticketed event – tickets distributed the morning of the signing at the Marvel Booth, as soon as the convention opens. Schedule subject to change. Note: Schedules subject to change. Comics have been around for a long time. One of the foundational publications is Archie Comics. For over 75 years these comics have taken readers to Riverdale, home of the famous red head and his pals. But, 75 years for a teen character has, perhaps, made things a bit stale for readers. Archie Comics are revamping their line in a dramatic way. The classic comics have a new look and new format to help usher in the characters to a modern age. Helping this along is famed comics writer Mark Waid, who has been a part of DC Comics in the past with highly acclaimed stories. Think of how cool The Flash tv series is and you have Mark Waid to thank (in my opinion). Though the paper format is like other comics, the story format is different. Archie used to have small tales in each issue, and sometimes overarching ones. This is definitely the beginning of a broader story that could take up several issues, just like other comics. How does it differ from previous Archie incarnations? If you’ve ever watched Saved By The Bell you know it’s been a teen comedy where the main character breaks the fourth wall to help narrate. Archie Comics looks to have that same idea, but with much more modern plots. Not only that, but they are reintroducing characters in their more modern forms. They seem more realistic, though still retaining a classic style and personality. The initial plot is that Archie and Betty have been together for years, but something called the “lipstick incident” has torn them apart. Though they still have some feelings for each other, it’s a new day in the history of Riverdale. Not only that, but a very powerful and wealthy family is moving into town – the Lodges. If you know Archie mythos you know this means Veronica. The rest of the crew is trying to get Archie and Betty back together, but will they succeed? Read and find out. 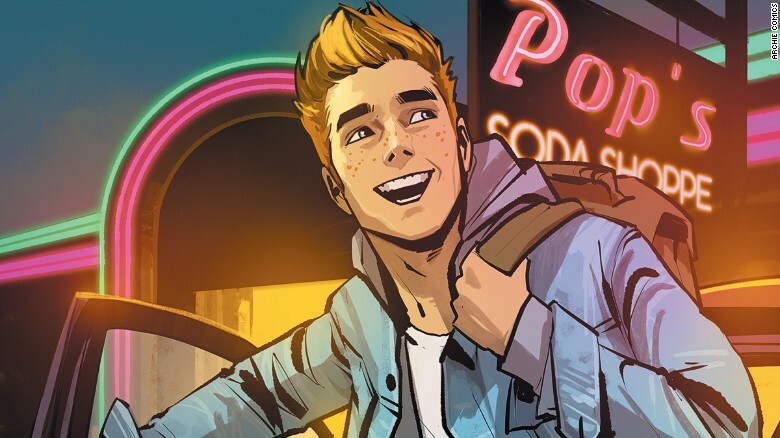 So, is this a great new start to the Archie line? I think it is! I’ve read Archie comics in the past, sometimes picking up the digests at the market, or the occasional regular comic. I’ve enjoyed Archie comics over the years. It wasn’t a lot of teenage drama. It wasn’t too much into kid-like humor. They were just fun, but not a lot to keep story threads going, at least for me. 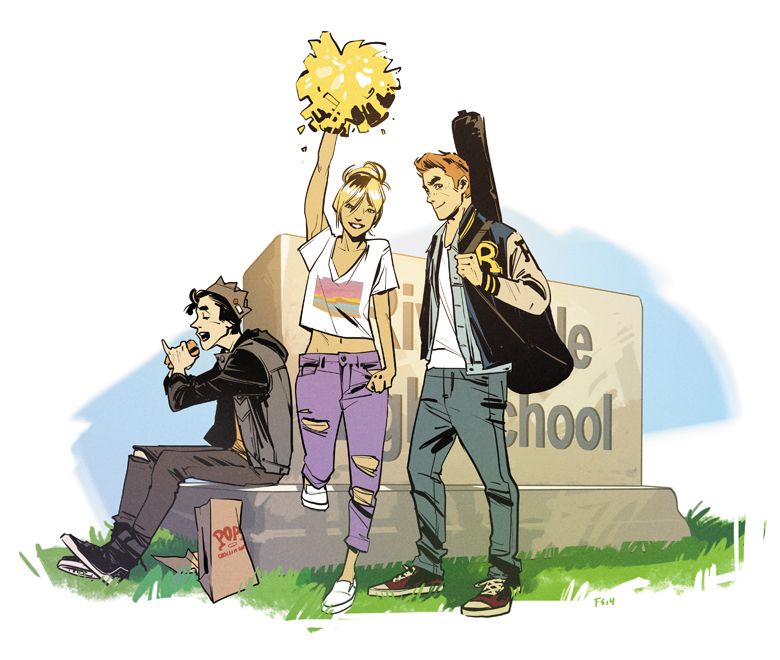 Jump to these new Archie Comics – it’s Archie for a modern age. Where that sounds scary, I think it’s turning out great! I’ve been a fan of Saved By The Bell, like I mentioned. It was teen comedy that turned into a cult classic. I think these comics have that potential for a new audience. There’s already the makings of depth of character and relationships. We get to see more emotion and more personality to why the teens function the way they do with each other. The stories are not going to be comics as some know comics now. These are not super heroes, these are more realistic teens. But, it’s a great book with classic characters. In addition, there’s a live-action tv series that is in the works to be a companion to the comics. The producers are responsible for Arrow, The Flash, and the upcoming Supergirl tv shows. I, myself, am wanting to read the next issue of the series. Fiona Staples has done a fantastic job at the artwork and revamp of the characters. They look more contemporary, but with the essence of what they’ve always been. The book is a great alternative to regular hero comics, and one that I am enjoying. Where it might be a concern that a very classic publication is losing its way, I think this is a very tasteful and great modern adaptation! It’s fresh and revamped for readers of all ages today! Also, if you are at SDCC there will be panels discussing the new comics and the new television series. 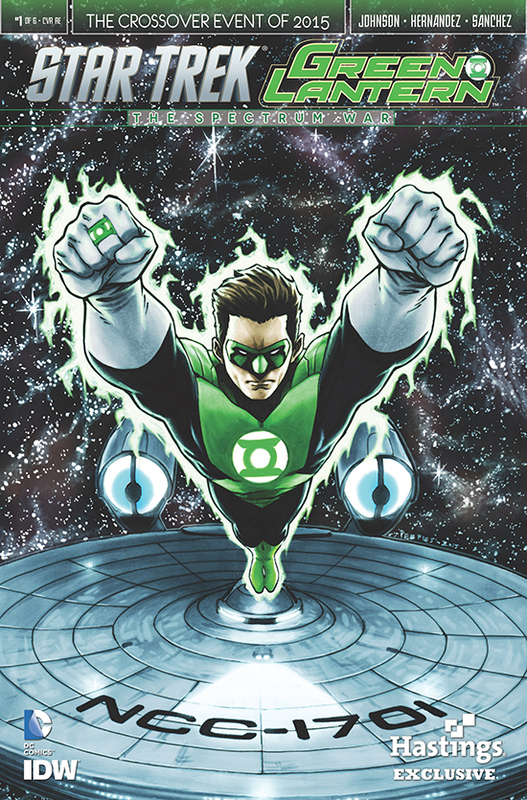 This comic answers the longtime question: Which is better – Green Lantern or Star Trek? Ok, so that’s not really a question that is burning on every geek’s mind, but this comic makes it feel like it should be. IDW and DC Comics have teamed up to present an epic tale of crossover madness. The DC Universe has crossed over into the newer, alternate classic Star Trek universe in this comic. I grabbed this comic for the novelty of having two of my favorite franchises ever in one book! 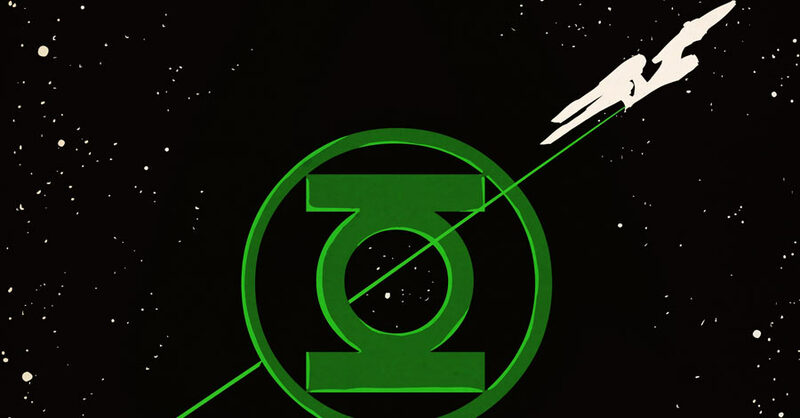 I’ve grown up with both Star Trek and Green Lantern and was ecstatic to find them together. Whether or not they belong together is not a question in my mind. It is fun to have all the characters in one comic! I haven’t read very many of the IDW Star Trek series, but have heard good things about it. The artwork portrays the new movie actors well, but also has them almost as an homage to the classic series look. There was a great job at integrating the Green Lantern characters with the more realistic style of Star Trek. The writing is great, and kept up with both the DC Comics ways and making it feel like we’re thrust into another movie adventure. This story is also fascinating. Why is Green Lantern around this dimension? What do the rings mean for the Federation? It’s all intriguing and I’m already hooked on this plot. It’ll be a 6 issue series that I’m sure will have a big, climactic ending. The comic is available at shops and also online at Comixology.com. Check for cover variants as well! FOR ONLY 1¢ FOR THE FIRST MONTH!